This past weekend, 14 girls rallied in Savannah, GA to celebrate Brynn’s “last fling before the ring.” The trip could not have been more fabulous. 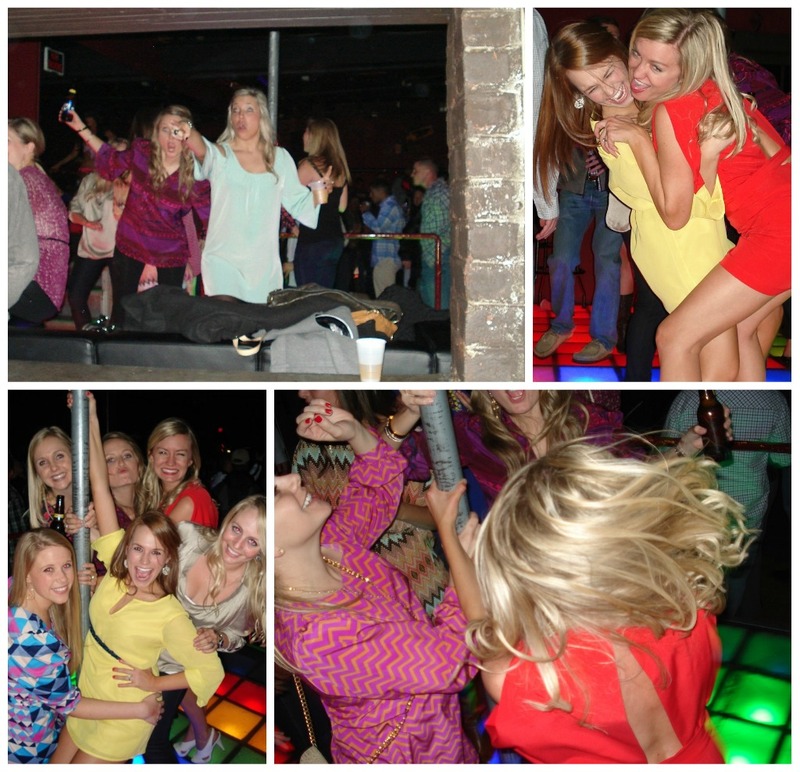 B’s MOH made sure we partied hard from Friday through Sunday. Although it is going to take days to fully recover, it was totally worth it! 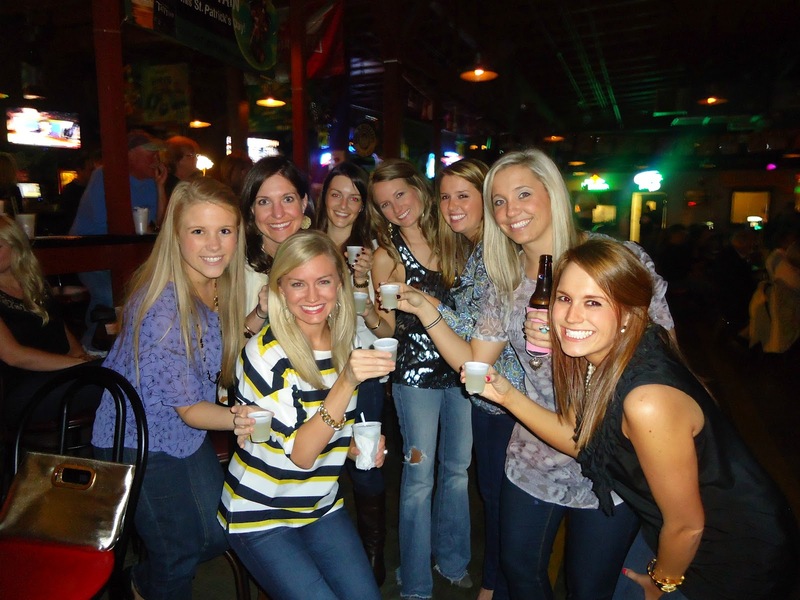 Our first drink stop of the night before heading to Savannah Smiles. 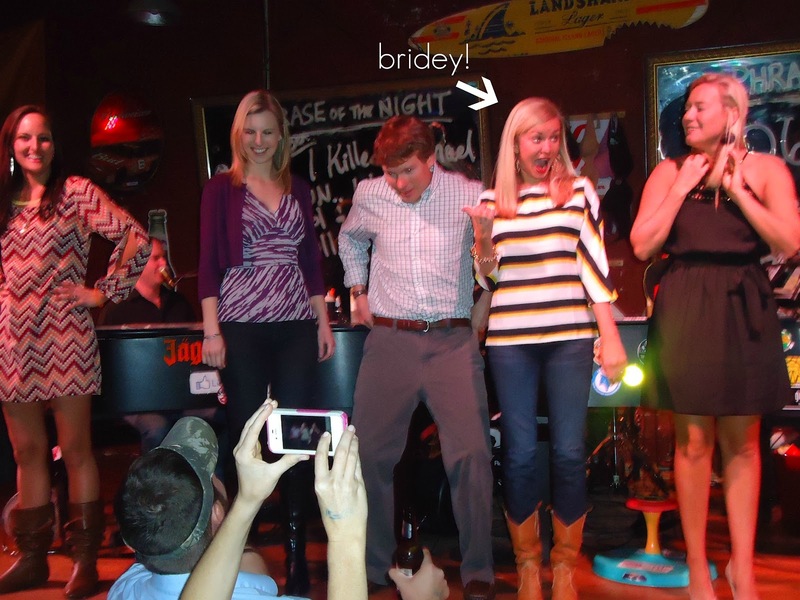 Of course, the bride-to-be made it on stage to dance! So proud! 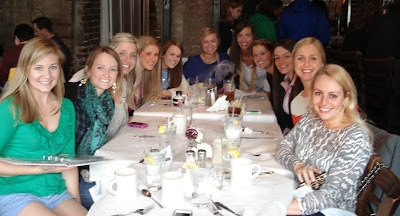 Saturday we shopped, ate lunch at Lady & Sons, and toured the town. 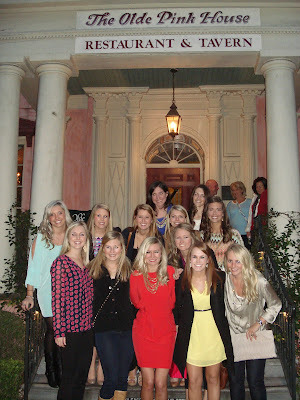 Later that evening we had the lingerie shower and ate dinner at The Olde Pink House. Dinner was filled with LOTS of fun and bubbly! 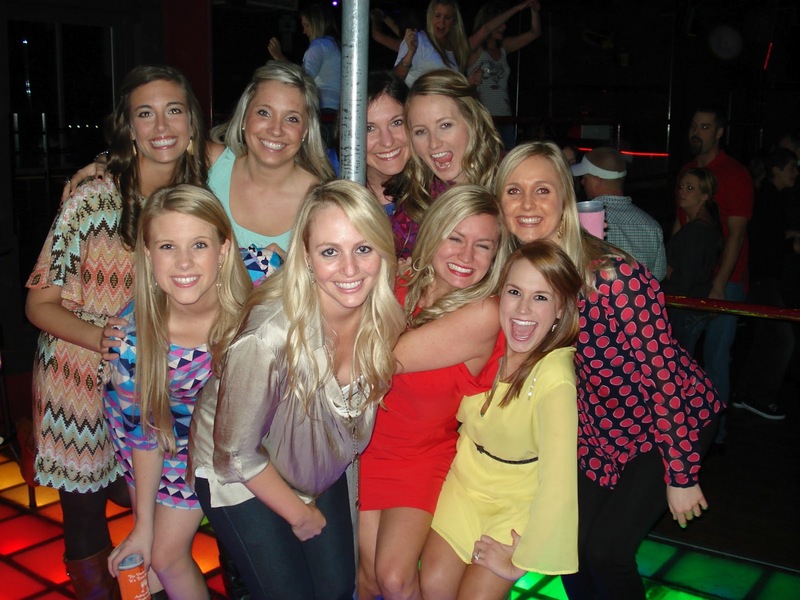 After the last stop on the pub crawl, we headed to Boiler Room for some dancing! Love you, Brynnie! So excited for you to get MARRIED! Looks like an amazing weekend!!! I am so happy for Brynn! You girls are so awesome 🙂 Miss you! Looks like you had a great weekend. 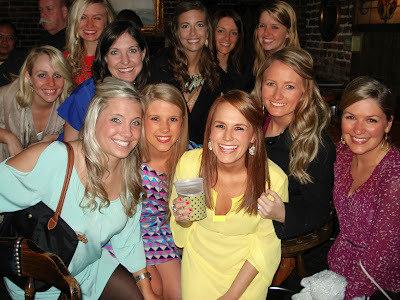 I need to go to Savannah, i've never been!! Also your yellow dress & blue shoes are beautiful! 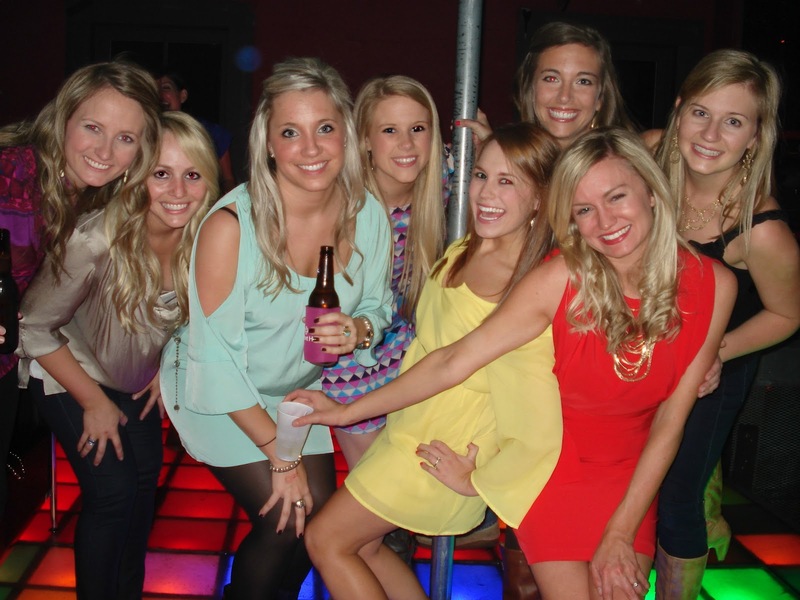 Looks like you girls had a blast! 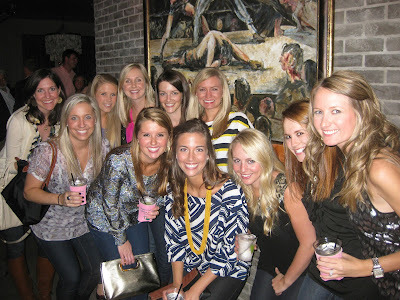 I have been to 2 Bachelorette parties in Savannah, and they were both too much fun 🙂 Savannah Smiles is always a stop on the bar crawl!! 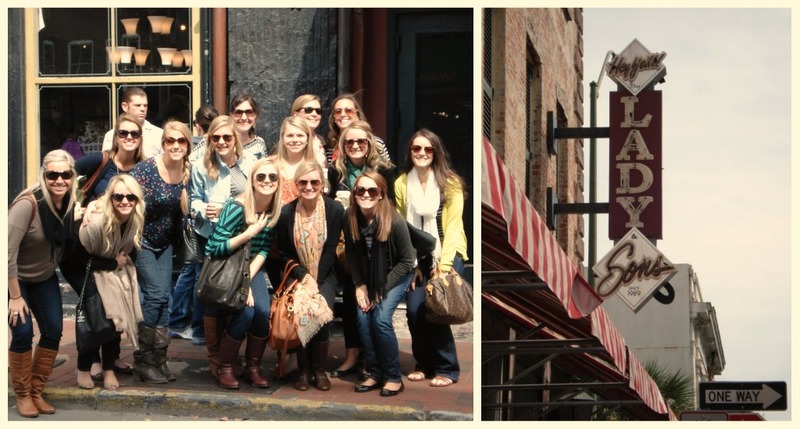 How fun!My sister Laura's bachelorette weekend is going to be in Savannah this summer – I'd love to pick your brain about the places you went! fun! i love savannah! i must know where you got your yellow dress and blue shoes! hot outfit! 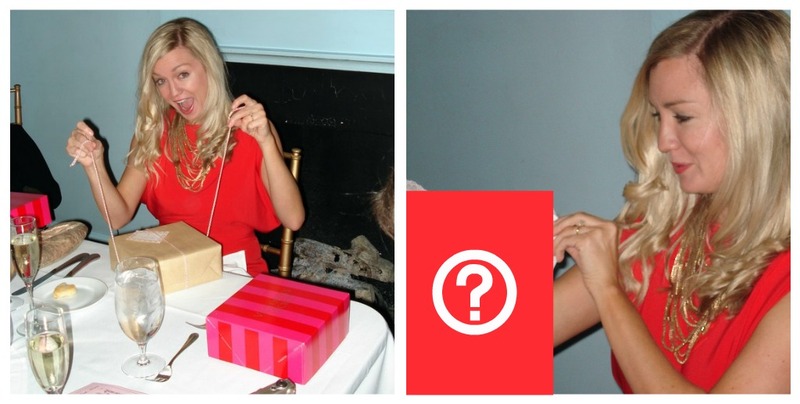 also, the red dress of the bride to be? 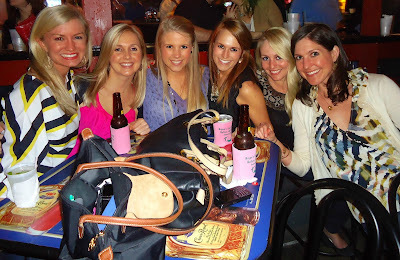 Oh man, you make me want to go to Savannah so bad! I looove Lady and Sons. It's like crack! So fun! 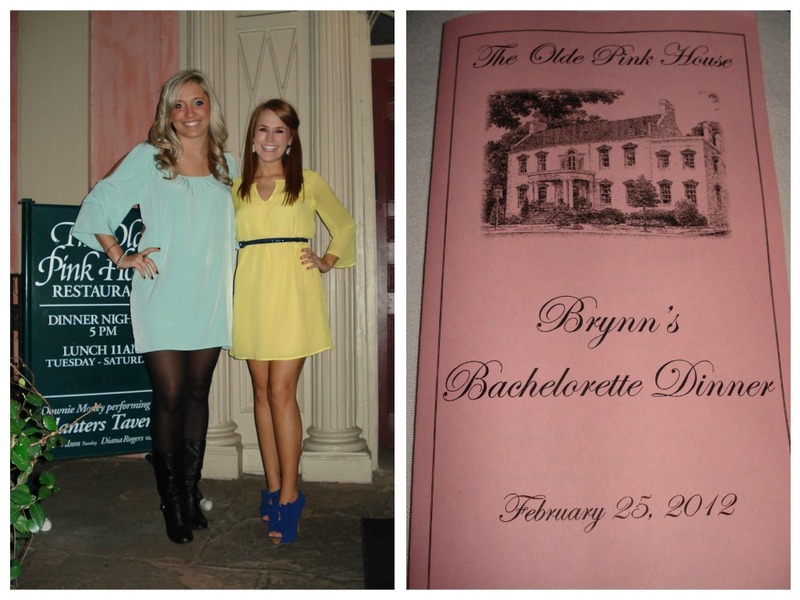 One of my hubby and my first dates was to the Pink house! I love savannah so much! Looks like a blast! I'm actually going to Savannah for a friend's bach in 2 weekends! What a fun weekend! I love it!! You ladies know how to rock it! 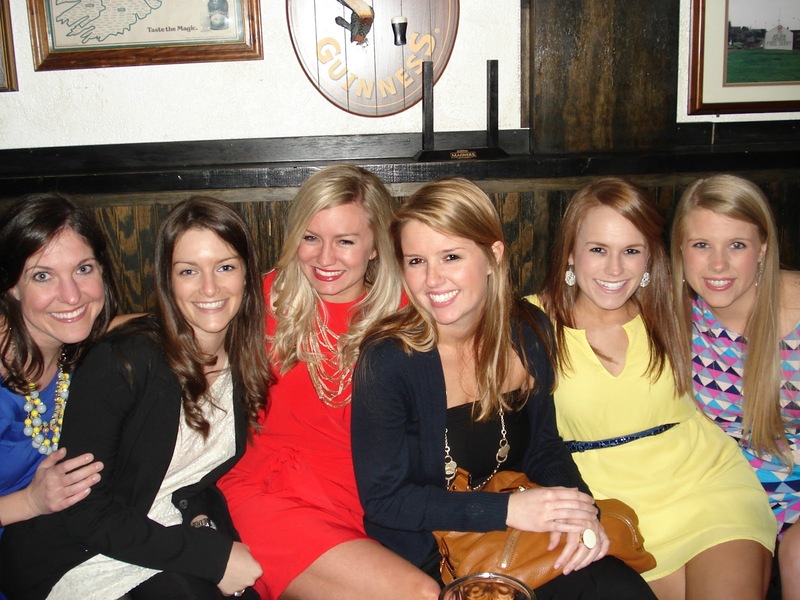 looks like such a fun wknd! i am OBSESSED with your blue shoes.. AMAZING!! Ahh looks SO fun! !I am going to be planning a few bachelorette parties soon… I love the agenda and other little touches. Gave me some great ideas! What a fun bachelorette! I either want to go to Savannah or Nashville for mine!xoxo. LOOKS SO STINKIN' FUN!!! Why wasn't I invited? ;)Great job putting it together, by the way — so fun and so stressful sometimes!Hope you're on the road to recovery! Looked like you girls had such a fun time! I just got back from Savannah a couple weeks ago! I went with my hubby and some good friends of ours. We loved it there.. the food is amazing!